After payment text your name and e-mail address to 08060565721 and you’ll receive your NYLON / POLYTHENE BAG PRODUCTION BUSINESS PLAN / FEASIBILITY STUDY PROPOSAL. One of the basic factors to consider when starting a manufacturing business is the rate of demand available for the commodity you want to produce. In the light of this nylon or polythene bag is in high demand in the market. In other words investing in the Nylon bag business is actually a very wise idea. The high demand for it makes very profitable. Every one and every company needs different sizes and qualities of nylon bags for different purposes and this demand is on a daily basis so you are sure of making your profits without much stress. Let’s throw more light on the rate of demand for nylon bags. Individuals make use nylon bags for various domestic purposes of which are shopping, bagging, waste disposal, amongst others. Manufacturing businesses need nylon for wrapping and packaging their products. They make use of the thinnest forms of nylon bags, the transparent films for packaging edible and some non-edible products purchased from the market. Laundry operators equally make use of nylon for packaging. Some types of nylon are even used in the making of tents and tarpaulins to protect cars from the sun and other harsh weather conditions. Some other types can be used in the manufacturing of fancy shopping bags and school bags. So without a doubt, the nylon business is indeed a lucrative one as there are a lot of purposes it serves for different people and various companies. Another instance is the high demand of sachet water nylon as a result of the fact that many people are getting into sachet packaged water business due to it’s lucrative nature. When it comes to the manufacturing of nylon, there are a lot of choices to pick from as regards specialization. The best part is that the manufacturing of Nylon bags is quite simple. The machines can be easily acquired and the raw materials can be gotten locally. So whether you want to start on a small scale or on a large scale, you are covered. However there are still a few things you need to know about nylon production. There are two different types of nylon they include the low density nylons and high density nylons. Choices are made on the type to get based on what it is to be used for. The low density nylon can be used for small packaging of edibles such as bread and snacks. The high density nylons can be used by companies for various purposes ranging from packaging to gift bags because they are of a higher quality than the low density nylon. For your business to be successful, there are some other things you need to be made aware of. These factors are listed below. The saying that knowledge is power cannot be overemphasized. To be successful you need to have substantial knowledge on everything concerning the business. You cannot afford to leave the success of your business to chance. So acquire all the necessary knowledge from people who have being in the business or from books and manuals. You can also register for tutorials and attend workshops. This is very essential for the growth and success of your business. 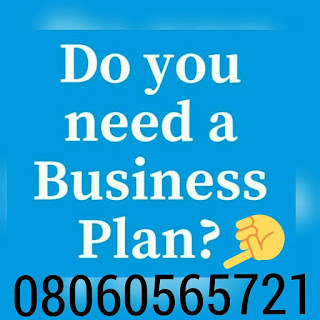 Without doubt, you need a detailed and up to date Business Plan. This is because the business plan will help you in determining start-up costs, management structure, location and equipment. Conducting a feasibility study is not out of the question. You need to be aware of your competitors, find the right place to set up the business, determine prices and understand consumer interests. Every business name or company ought to be registered with the Corporate Affairs Commission. To make your business legal and to avoid having issues later with the government or the government officials you need to register your business. Registration shouldn’t be difficult as the Corporate Affairs Commission have branches scattered across the states. More so consequent to their recent upgrade applications can be processed within 48 hours. For ease and convenience your location has to be as close as possible to your target market. This would greatly reduce transportation costs, hence improving profit maximization. Other important factors to put into consideration while determining your location include, good road network, accessibility and constant power supply. You can also consider locating the business close to raw materials to reduce the cost of production. Adequate space is necessary to make room for machinery, parking, storage and administrative building so as to avoid congestion. If you have small nylon production in mind, then you only need moderate funding to cover fixed and working capital. Funds can be gotten from personal savings, family and friends, and loans co-operatives or banks. If you opt for loans, it is advisable to go for low interest rates loans. The main equipments needed are the cutting and sealing equipments. They come in different types, sizes and capacity. You could go for the locally manufactured equipments or the highly sophisticated equipment. The capital expenses to be made are leasehold and purchasing the extruder/blower machine and cutting/sealing machine. Other expenses include punching machine, purchase of raw material, staff wages, printing and marketing, maintenance, bank fees and transportation costs. If you want to engage in small scale production, what is required is the semi-automatic nylon-cutting machine with punching blades and these can be manufactured locally. However if you can afford it, it is advisable to go for a fully-automatic machine, as this is much more efficient. Basically, there are three types of machinery used in the manufacturing of nylon bags and they include, the extruder blowing machine, nylon cutting machine and punching machine. •The extruder blowing machine is the basic equipment needed in nylon manufacturing. The machine changes the raw material into sludge liquid and then polythene sheets. The sheets can be produced into varied thickness depending on the manufacturers target market and consumer interests. •The cutting machine as the name implies is used for cutting the long nylon sheet into smaller units. •The punching machine creates holes and shapes. It is used in shaping the nylon bags to different shapes to serve various purposes. The raw materials needed for nylon production are bye products of petrochemical processing that are gotten from refineries. The basic raw materials are polythene and polyethylene. Other raw materials needed are Escorene, Dow, B.A.S.F and Master Berg. Master Berg is used for coloring while BASF/Escorene or DOW is poured into the heating unit of the extruder. The material is dissolved into a liquid form then blown under intense pressure at the output end of the extruder. These materials can be found in large quantities in petroleum-rich countries with many functioning refineries. Importations can be made from Indonesia, Korea Republic, and China. The type of employees you have goes a long way in determining the success of your establishment. Therefore employ well mannered and customer friendly persons. They should be experienced or you can make them undergo trainings. As earlier said, nylon bags are in high demand because of it’s various uses. Hence marketing nylon bags is a piece of cake. Advertise yourself to companies, hospitals, marketing outlets, restaurants, shop owners, individuals and anywhere nylon bags would be needed. You can equally customise the bags specifically for some purposes and functions such as weddings, birthdays, etc.